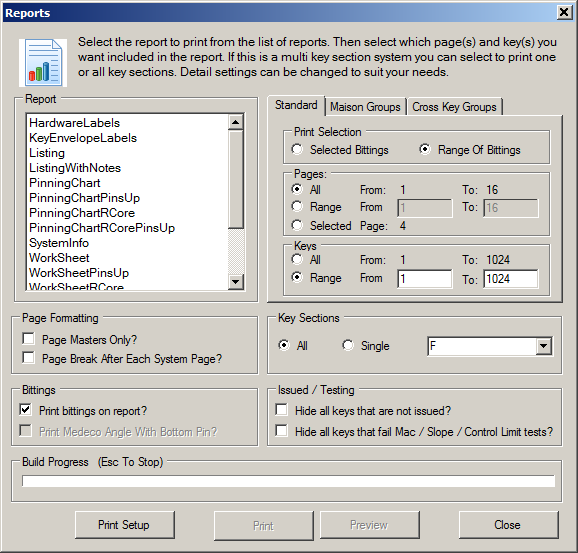 ▪ The Report Generator is used to build your reports. ▪ You can print or preview one or more bittings selected while viewing a page, a range of bittings on a single page, a range of pages or an entire master key system. ▪ With the report generator you can select what is and is not printed in the report and how the report is formatted. 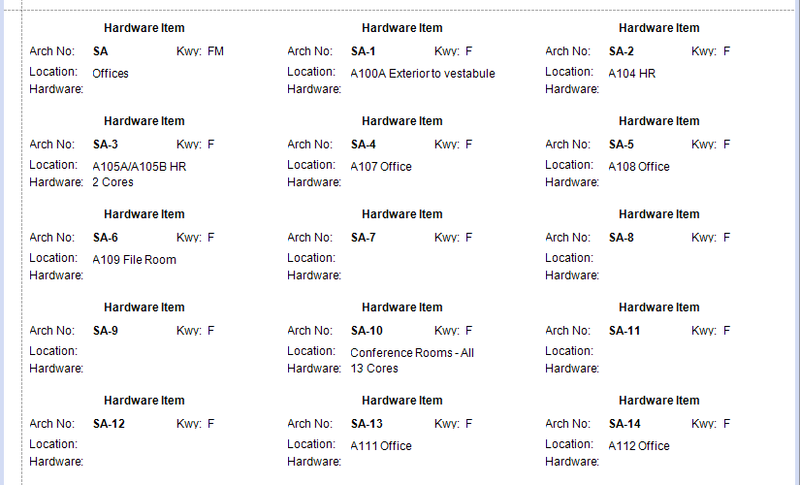 Preview displays a report before it is printed. In fact, you don’t have to print the report at all. SuperKey allows you to export the report in pdf and other formats to send directly to your customer. 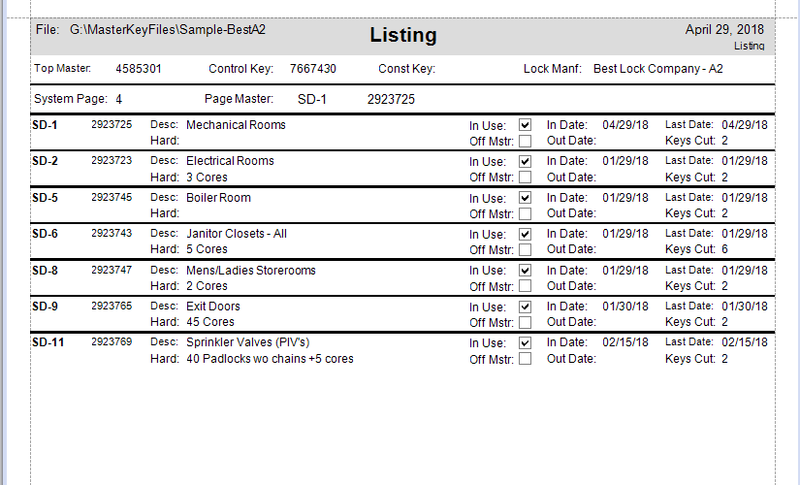 Listings are simple reports for your customer to organize keys or locks in their facility. It can be printed with or without bitting information. WorkSheets are used to key locks on the bench or in the field when an oem pinning kit is used. 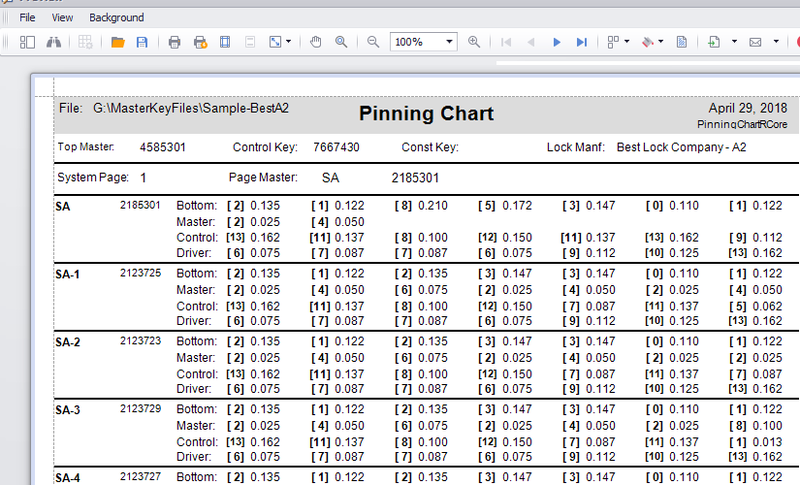 Only the bittings are shown on the keying chart along with a limited amount of entered information for each bitting record printed. Different versions of this report are included. 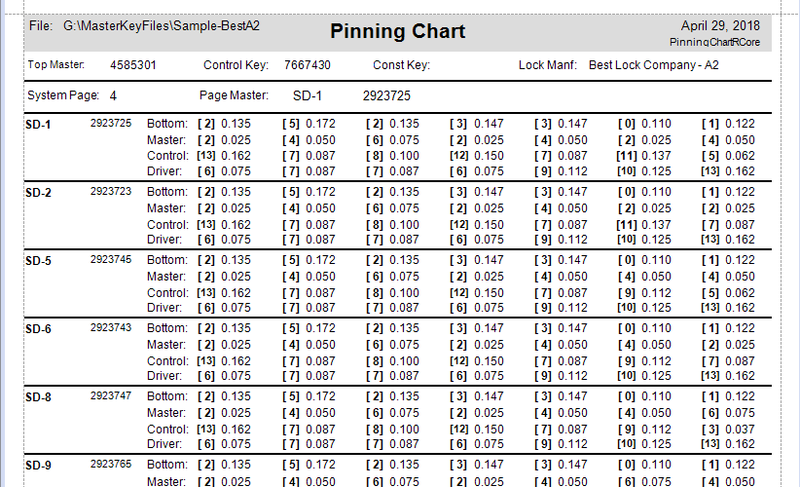 Pinning Charts are used to key locks on the bench and in the field when an incrimental pinning kit is used. The bittings are shown along with the associated pin depths in thousanths of an inch. Pin depths can be modified for a single system or a manufacturer using the pin maintenance tool. 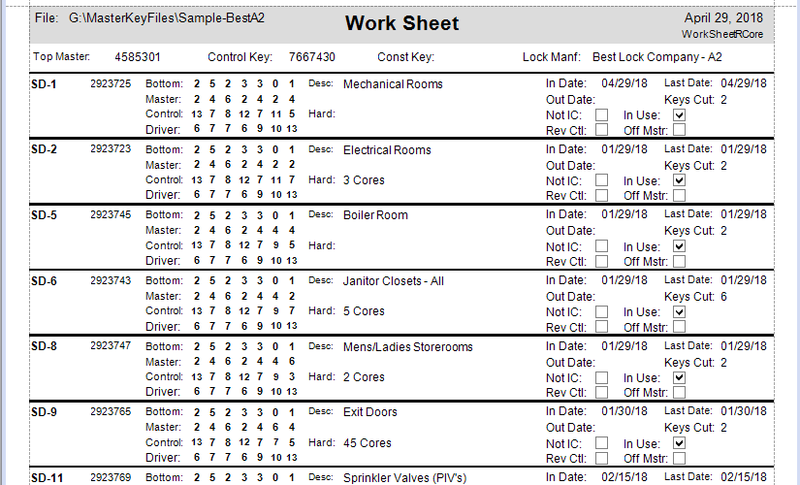 Hardware and key envelope labels can be printed to identify materials for a job. Labels can be printed with or without bitting information.